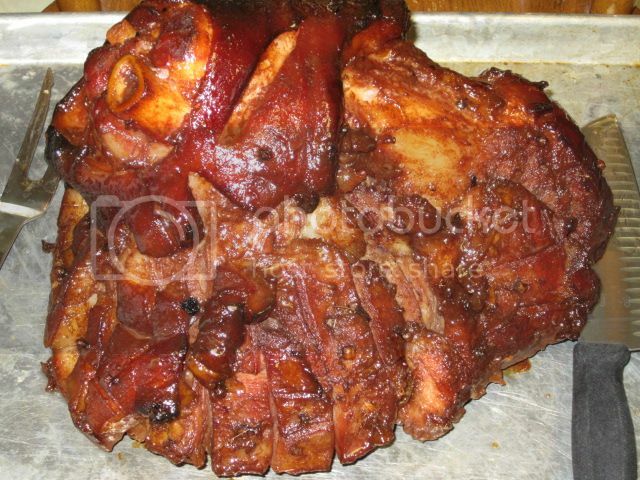 Here's my finished after cooking pic's. Had a camera issue and didn't get any pre or during cooking pic's. 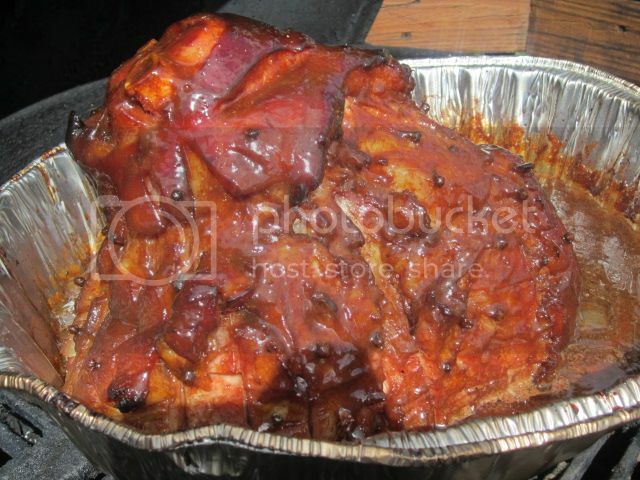 HERE are some actual cooking pic's of the ham from last year that was exactly like this one but last years was better. I didn't have rum this year and used bourbon and I do believe that is what made the difference in taste. 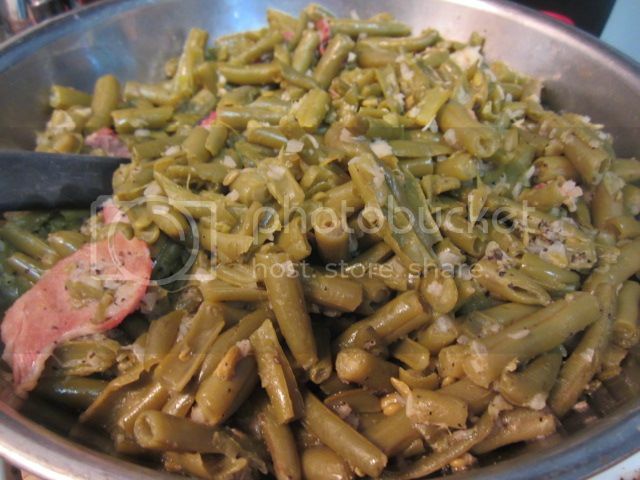 Green beans slow simmer with a country ham hock, onions, garlic and pepper, a Southern Delight I grew up on! 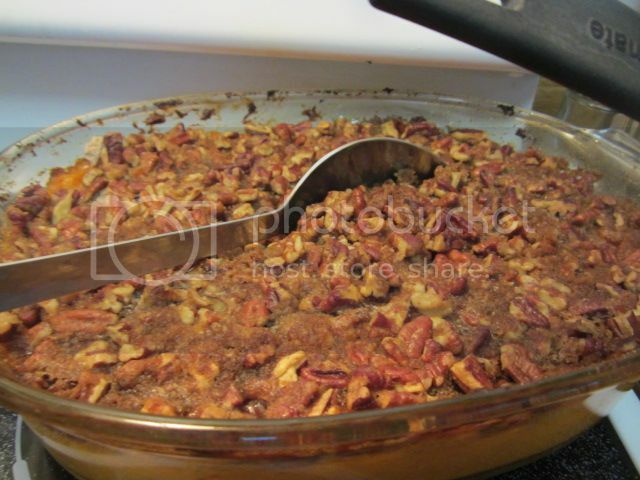 Sweet potato casserole with a brown sugar pecan topping, excellent! 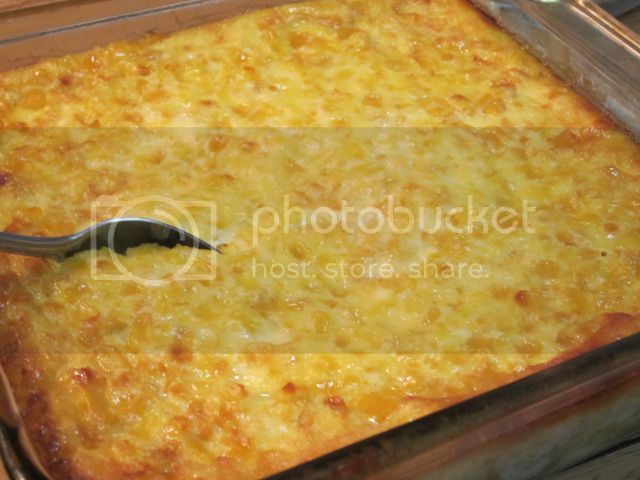 Corn pudding that was out of this world goooood! I had nothing to do with making this but had no problem eating it! My girlfriend made it and hopefully she will make it again soon! Bread pudding is next on my wish list from her!! She's a baker and she made a great Carrot Cake not pictured for dessert! Here's the star of the show.....it shows it doesn't have to be pretty to taste good thank God. 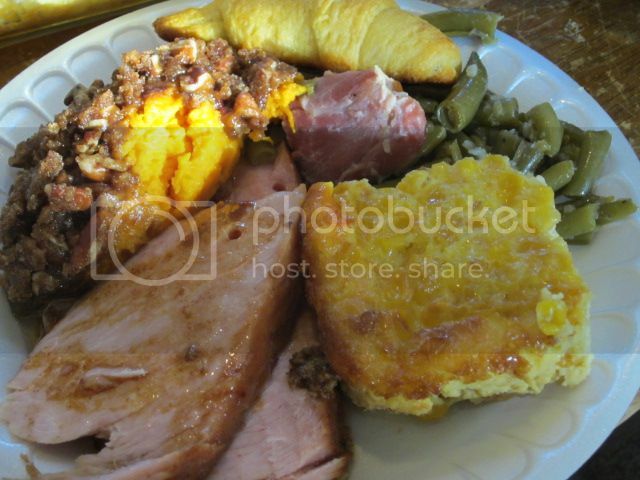 Here's my plate, very good dinner with good company!